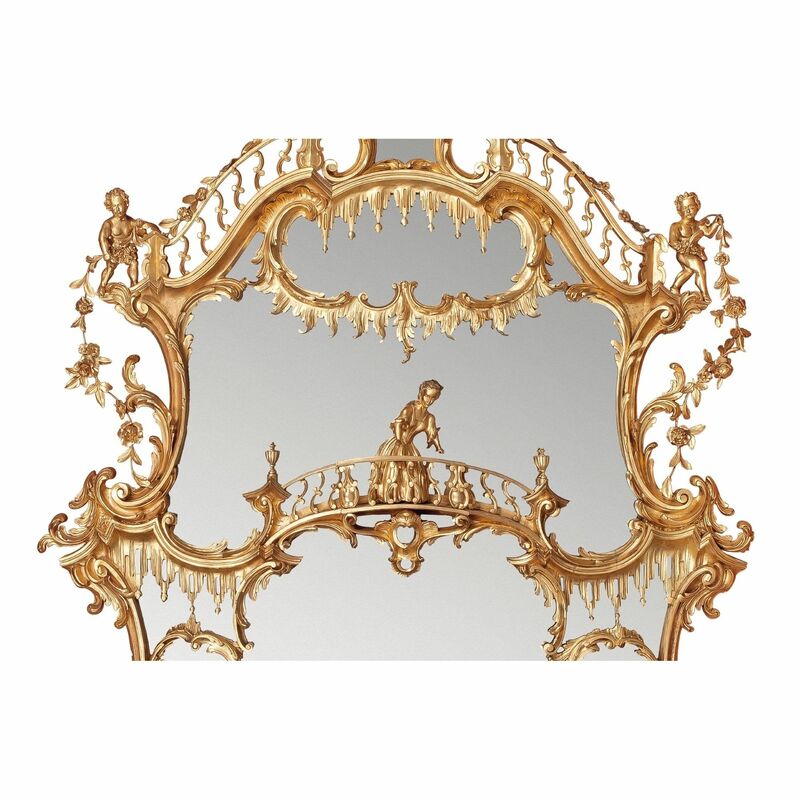 This exceptional overmantle mirror is unusual for its figural narrative tableau, which has been enjoyed by a long line of aristocratic owners. 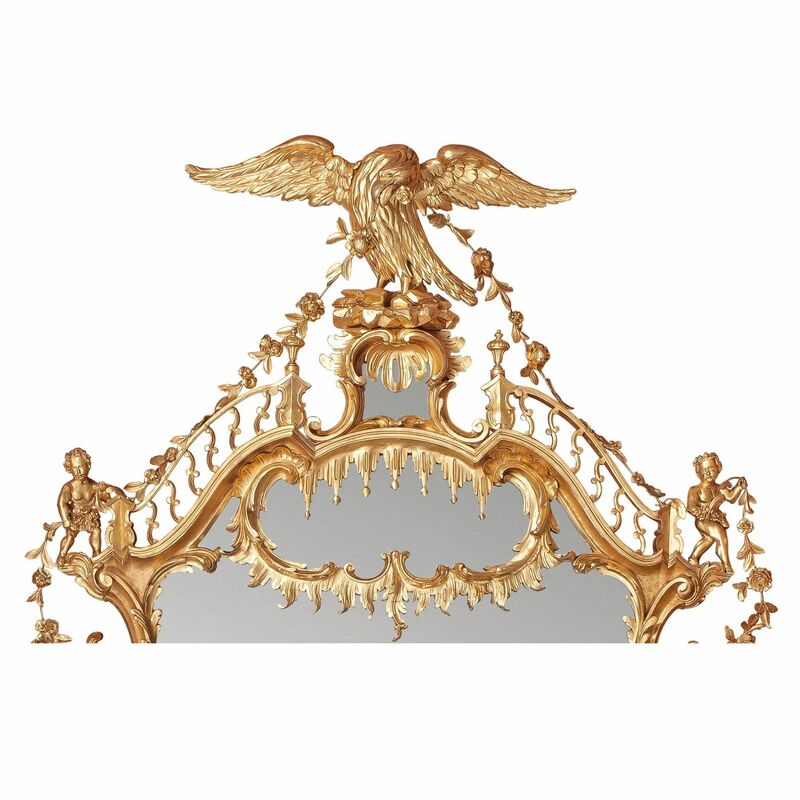 The over-mantel mirror follows the design published by Thomas Chippendale (d. 1779), in the 3rd edition of his Director (1762), plate CLXXXII. 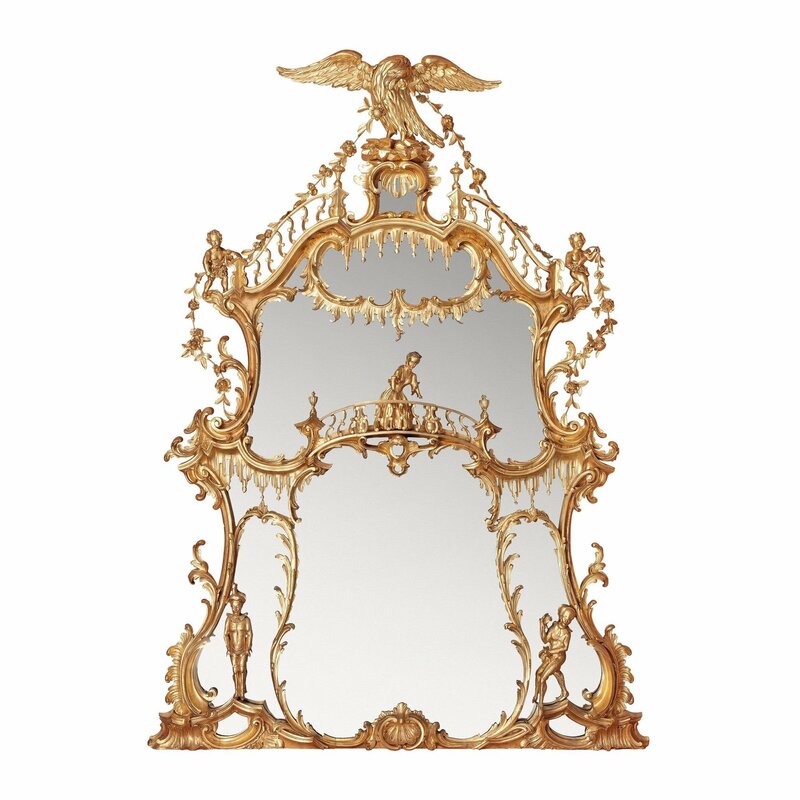 Chippendale specified that the 'Imbossments must be very bold, and the Foliage neatly laid down'. Although he did not elaborate on the design, the characters displayed in the mirror are Columbine, Harlequin and Pierrot, whose amorous misadventures were a common theme in the Commedia dell'Arte, the Italian theatre that originated in the mid 16th century and remained popular in Europe during the 18th and 19th centuries. Episodes from the works were commonly depicted in art, from Callot's etchings of the early 17th century to Picasso's Three Musicians, 1921, and they were frequently subjects for porcelain groups. 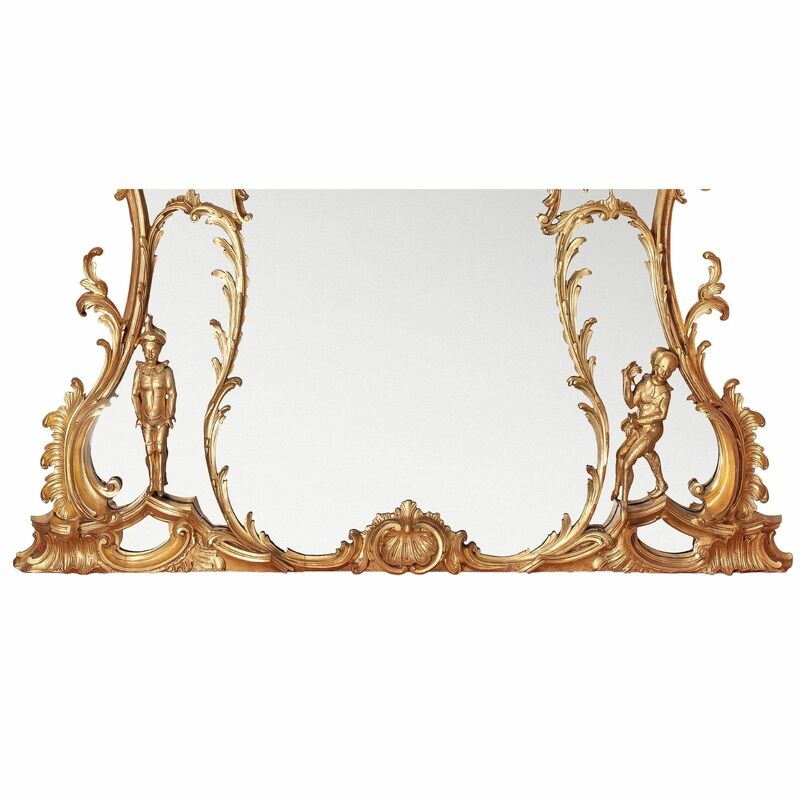 The mirror was in the collection of Captain Napier George Henry Sturt, 3rd Baron Alington (d. 1940) at Crichel House, Dorset. 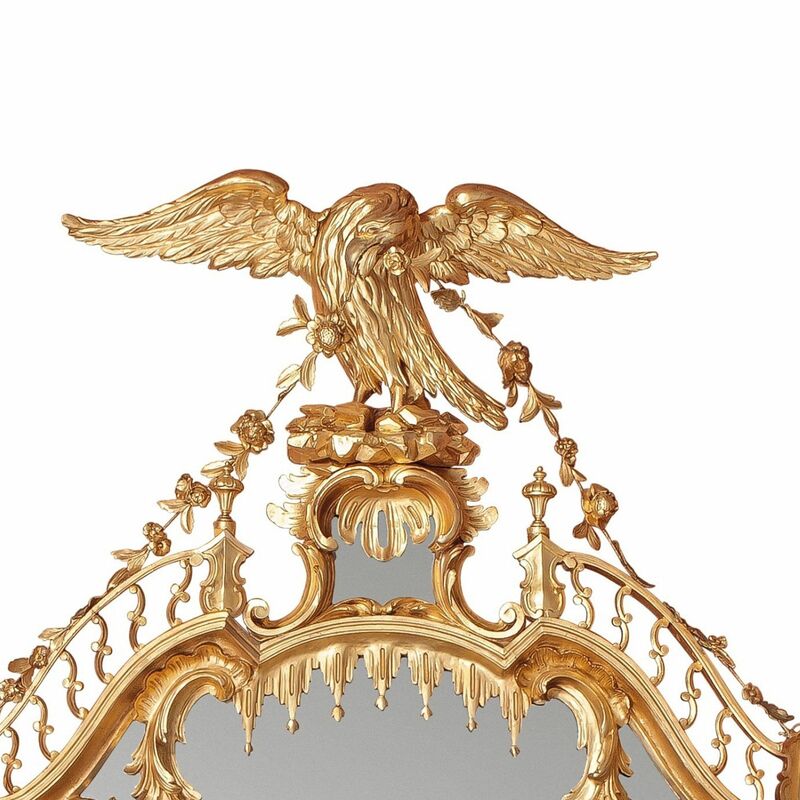 It had reputedly been removed earlier to a loft by Charles Sturt, presumably in the early 19th century, but was recovered in the late 19th century by the 3rd Baron who, overseeing lumber being removed from the house, spotted the dusty giltwood and requested that it be taken down from the cart. Whatever the truth of the story it had been fitted above the chimney-piece in the Great Drawing Room at Crichel by 192.